Who doesn’t love Fred Hembeck?!?!?! 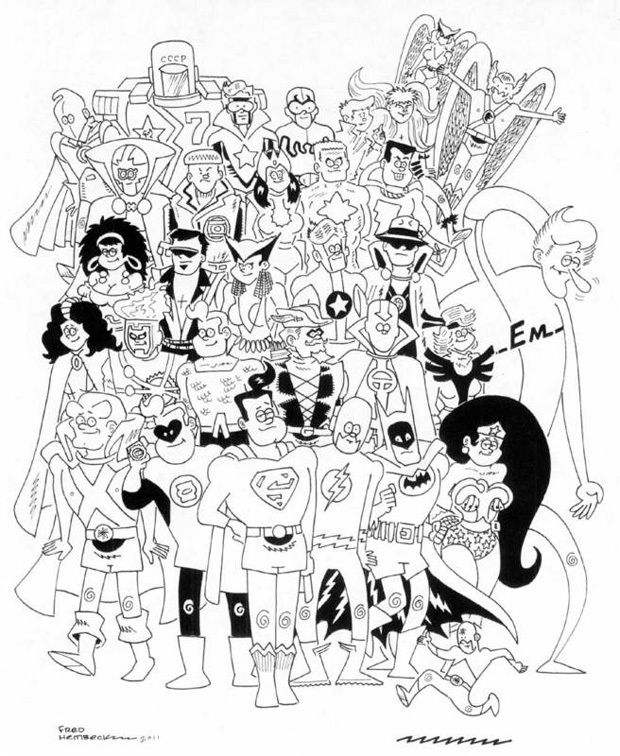 Check out this JLA drawing featuring tons of Leaguers, including Firestorm! Looks like Firestorm’s flaming hair is about to singe Vibe’s chest hair! Next up is this great Firestorm and the Human Torch sketch card by Fred Hembeck! Love seeing these characters together! I seem to have lost track of whoever directed me towards these Hembeck drawings. Sorry about that. Thank you to whoever sent me these links! 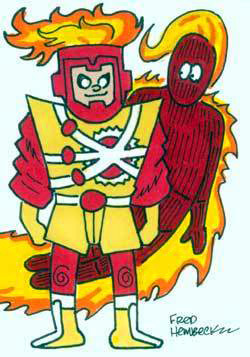 Click here to check out another Fred Hembeck Firestorm drawing! Posted in: Firestorm #01: Original (Ronnie/Martin), Justice League of America, Sketch/Art. Great pic… Who is the guy in the back row between Blue Beetle and Creeper? Is that supposed to be Snapper Carr or somebody from the JLI that I don’t remember/recognize? You nailed it. That’s gotta be Snapper Carr. He’s got his hands raised in a snapping gesture.